Six provinces have confirmed that armyworms are beginning to wreak havoc among their agricultural sector. The crop-eating pests have recently spread to South Africa from some of the neighbouring countries. 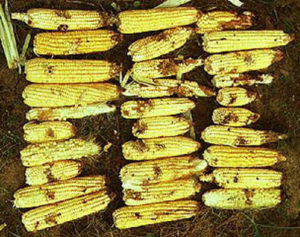 A delegation from the Department of Agriculture led by Minister Senzeni Zokwana briefed Parliament’s Oversight Committee on their plans to combat the spread of the fall armyworm. 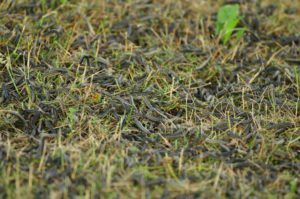 The destructive fall armyworm is a new phenomenon to South African farmers. It targets crops such as maize, sorghum, cotton, soybean and sugar cane as hosts and because it is new, no pesticide has been registered to use against it. The Department’s Director responsible for Plant Health, Jan Hendrik Venter, says they have now managed to register nine active ingredients. He says six provinces have now confirmed the prevalence of the worm. The department says it could cost up to R1000 per hectare to apply the pesticide. However, the Acting Deputy Director, Mooketsa Ramasodi, says it is still unclear how the pest will affect food prices.